Endometriosis is the name of a relatively common disorder that involves uterine tissue abnormalities. 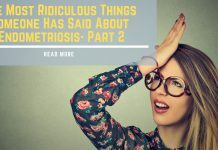 If you have endometriosis, then you’re familiar with all sorts of unpleasant effects. According to the U.S. Department of Health and Human Services, some examples of these are immoderate bleeding, strong cramps, and severe exhaustion. 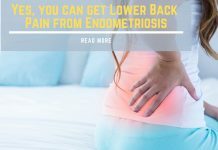 Thankfully, there are numerous strategies out there that can aid individuals who are trying to cope with endometriosis-related discomfort. Heat can often do wonders for individuals who are in the middle of intense endometriosis episodes. If you’re in the midst of one, you should try heat therapy. You can employ a heating pad or hot water bottle in order to calm the muscles of your pelvis. This can make cramps a lot less severe. Try taking a bath that’s nice and warm. Bathing can often work as well as heating pad use. You can even go for a serene experience in a hot tub. Hot bath or tub sessions can help you ease the discomfort and escape reality and lingering pain for a while. Aqua Rec says that soaking in the tub can clear your mind and get rid of that stress. Be sure to refrain from using water that’s overly hot, though. Burning is never pleasant. Physical fitness can do so much for people in all sorts of ways. It can keep people agile, active and sprightly for their whole lives. It can keep all sorts of diseases at bay, and can even be beneficial for individuals who have endometriosis. Dia & Co. says that if you have stubborn endometriosis discomfort, you can try minimizing pain through participating in a light exercise session. Think about going for a brisk and energizing walk around your community park or a refreshing swimming session in a swimming pool. If your pain is intense, refrain from attempting any form of exercise that’s especially vigorous. 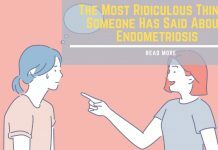 Endometriosis can be extremely painful, and if you want to manage endometriosis discomfort well, you have to be kind to yourself. Drink lots of water throughout the day. People aren’t exaggerating when they say that sufficient water consumption is essential. If you’re struggling through any kind of endometriosis discomfort, consuming some cool water may be surprisingly pleasant. If you try a combination of heat therapy, physical fitness, water, and serenity, then getting through a tough endometriosis episode may become a lot more realistic.